VuePress has the flexibility to build any static site, but it particularly excels at working with documentation. In this article, I’ll show you how to adapt your docs to VuePress for documentation that survives on Github, but thrives on its own. One thing that sets VuePress apart from some other SSGs is its beautiful default theme. It’s clear that a lot of effort was put into the default theme to give new projects a fully-featured starting point. It’s common for other SSGs to have a minimal or blank default theme (the default theme for new Jekyll projects is called minima for a reason.) This approach makes sense — “build a website that looks like everyone else’s” is not really a selling point. There’s a case to be made, however, when you just want to get your content on the web without investing a lot of time in putting together a website for it. VuePress is composed of two parts: a minimalistic static site generator with a Vue-powered theming system, and a default theme optimized for writing technical documentation. VuePress actually encourages you to use its default theme for your project. 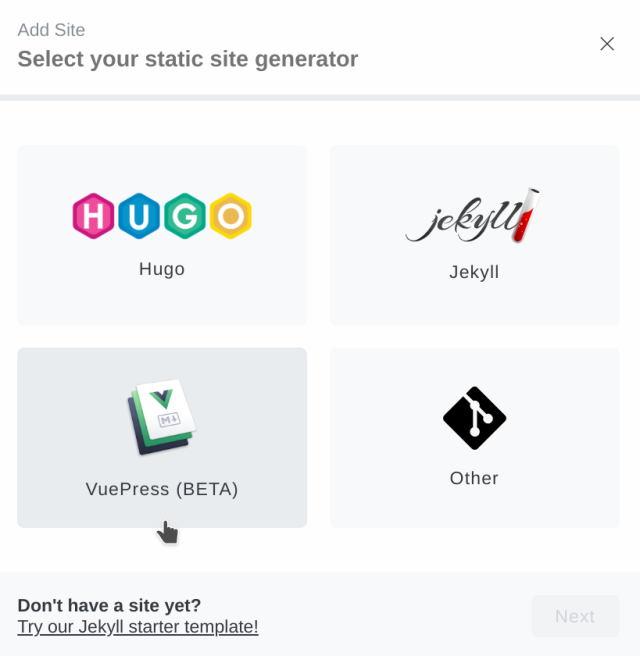 According to their documentation, the default theme is a core component of the VuePress project, not just a demo of how the generator works. A usable search is essential for documentation. VuePress’ default theme supports searching out of the box. The search bar in your site’s header will search across the headings and subheadings in all of your markdown files and link to the relevant section when selected. When your documentation gets too dense to rely on a headings-based search, you can easily switch over to Algolia DocSearch with a little configuration. If you’re not familiar with Algolia’s search service, check out our blog post on the subject. Something I spend a lot of time thinking about is how to best make my documentation available in multiple contexts. For me, one of the most appealing features of markdown is the way information emphasis and hierarchy are preserved in the plaintext version of the file as well as the rendered HTML version. I prefer markdown over HTML for the raw document because, in addition to being able to read it when it’s rendered on my Github repository page, I expect people will sometimes dive into the raw markdown files to get their answers. With VuePress, your users could choose to run their own local copy of your entire documentation wesbite! Towards this end, VuePress plays very well with documentation that lives on Github. For one thing, relative links to other markdown files in your document are automatically transformed into the corresponding URL to the HTML file in the generated site. So when you’re viewing the Github version of the docs, the links keep you on Github, and the same link on the published VuePress site will still take you to the right place. VuePress also does a good job of staying out of the way of your codebase. VuePress stores its files in a .vuepress folder, separate from the rest of your code. When VuePress builds your site, it looks exclusively for markdown files, so it’s not likely to build anything into your docs that shouldn’t be there. To demonstrate how easy it is to beef up your docs with a VuePress site, I’ve created a documentation website for my serverless-autopublish project. View the finished product here. Before adding VuePress, I reorganized the documentation a little bit. It’s common for a project’s documentation to serve two different audiences: those who want to use the software, and those who want to contribute to it. So, I took the documentation that was previously consolidated in a single README.md file and broke it out into two smaller documents that I placed in the docs folder. I then modified the README.md file to continue to provide an overview of the project and link to the respective documents. To start up a development server with your documentation site, just run yarn docs:dev. When you’re ready to build the production site, run yarn docs:build. The site will be generated in the .vuepress/dist directory. VuePress’ default theme exposes several configuration options. A couple you will definitely want to configure are the navigation and sidebar. The auto setting for the sidebar automatically generates anchor links based on the headings in your document. This is a handy default for building useful documentation! Deploying the documentation site with Netlify is easy as usual. After adding the site to Netlify, we just need to set the build command to yarn docs:build and the publish directory to .vuepress/dist. Checkout the VuePress deployment docs if you want to deploy your site to Github Pages. To do so, import a new site and select VuePress as the engine. After the site imports, you will need to configure your content sections. Navigate to the Settings section and click the Sidebar tab. Follow the instructions in the sidebar documentation to tell Forestry which content files you want to be able to edit. A document section for the README.md file. I label this section “Home” since it serves as the project homepage. A directory section for the docs folder to edit the documentation files. VuePress support is a new feature in Forestry and currently comes with some constraints. You can’t preview your pages, and Forestry can’t build and deploy the site for you. This is why I’ve elected to use Netlify to handle the deployment and hosting. You may have noticed that there isn’t much special about the serverless-autopublish project that identifies it as a VuePress site. To use it with Forestry, I just had to tell it where my markdown files were. VuePress adapts well to existing markdown documentation, and Forestry can be used to edit a VuePress site, so it stands to reason that Forestry could be used effectively to edit markdown docs for anything. Our release of VuePress support is just the first steps on a path of supporting a wide variety of content publishing tools! Next week: We'll explore some advanced data relationships in Hugo. 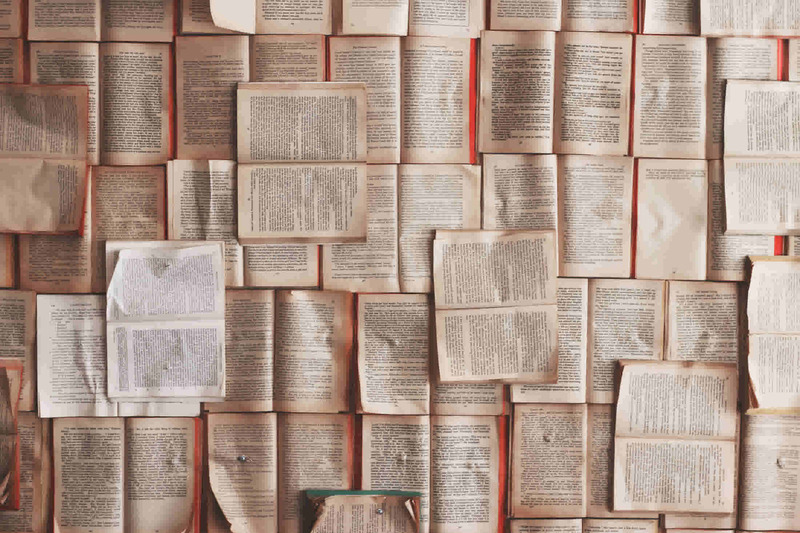 Last week: We showed you how to create a multilingual blog in Jekyll.